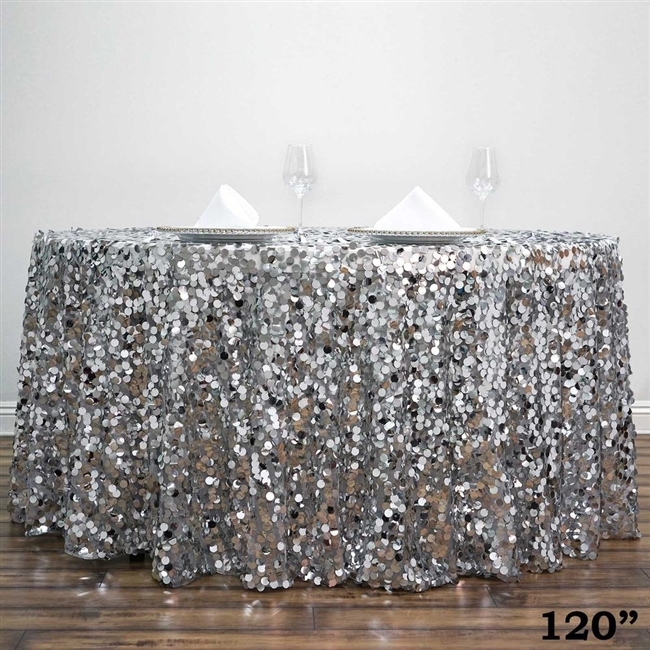 Our 120" Silver Wholesale Big Payette Sequin Round Tablecloth adds magnificence to your overall table setting. 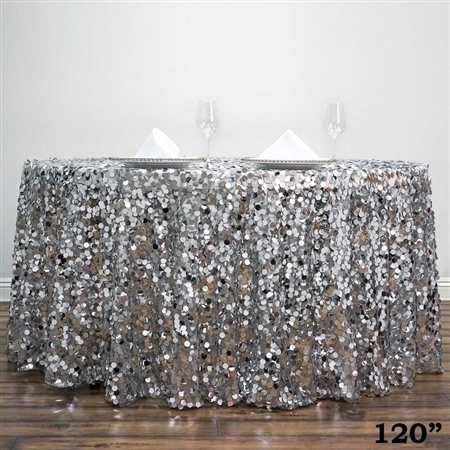 This wholesale priced tablecloth is made with premium-grade Sequin on mesh Base. This rose gold tablecloth is augmented with large, round metallic Payette sequins stitched intricately on the mesh fabric from one point, creating a royal cascading appearance of glittering beam. 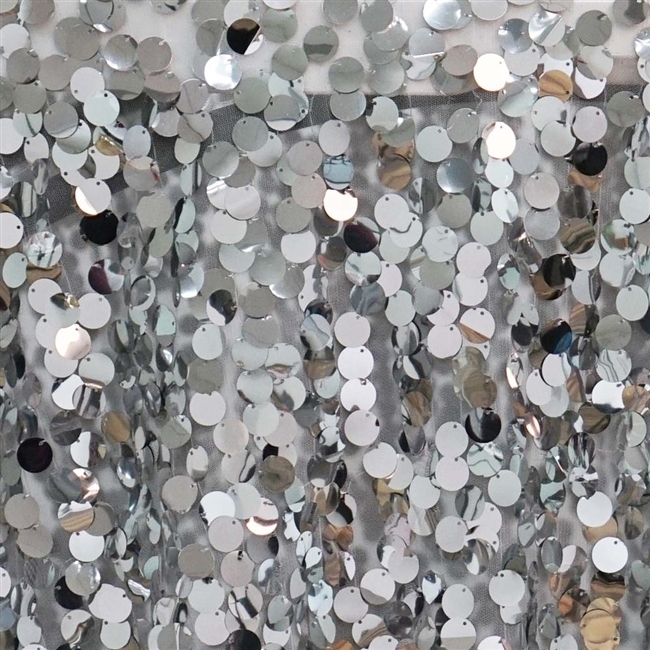 This 120" Silver Wholesale Big Payette Sequin Round Tablecloth can be used for party table decoration, outdoor Easter decoration, cake table presentation, DIY wedding decorations, dining table decoration, wedding table decoration, wedding reception decoration, and flower table decoration. Why buy Sequin Round Tablecloth from RazaTrade? Care Instructions: Do not dry clean or machine wash. Wipe with a soft damp cloth.